Here are a couple images from a campaign we developed for Watson Bennett, a Buffalo firm that boasts one of the nation's leading practices working for various interests within the timber and forestry industries. 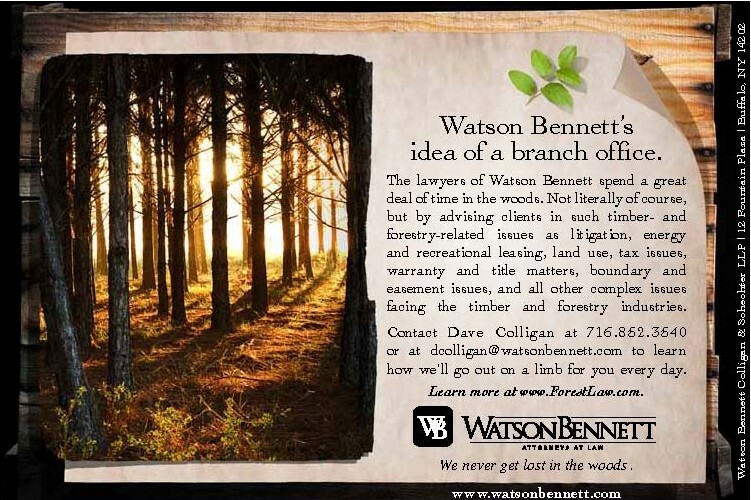 They'd already created separate TimberLaw.com and ForestryLaw.com websites, but needed to drive traffic to them through the industries' trade magazines. 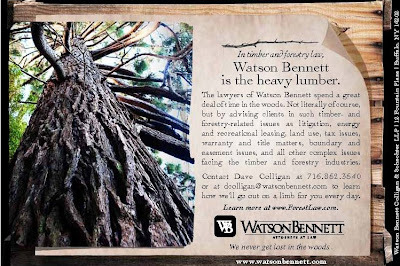 In contrast to the competitors' all-text ads, these ads are visually interesting, with more clever language. 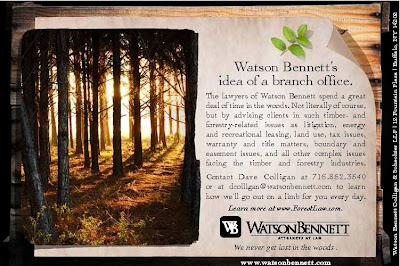 I particularly like the "Watson Bennett's idea of a branch office" line.